Carlos Fuller, International and Regional Liaison Officer represented the Caribbean Community Climate Change Centre at a working lunch of the African, Caribbean and Pacific Island (ACP) States and the European Union (EU) today in Katowice, Poland, the venue of COP 24. 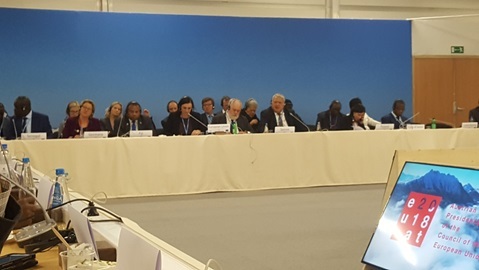 In his opening statement Commissioner Antonio Arias Canete noted that the European Community was the largest donor to climate finance and would continue to do so referencing their latest pledges to the Green Climate Fund and the Adaptation Fund. They were committed to meeting their obligations under the Paris Agreement and would begin working on their long-term strategy towards carbon neutrality by 2050. CARICOM Assistant Secretary-General Dr Douglas Slater expressed the Caribbean’s appreciation to the support provided by the EU to the region in the areas of development, disaster relief and climate change. 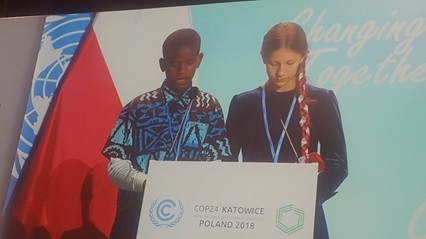 He thanked the EU for its solidarity with the Alliance of Small Island States (AOSIS) in welcoming the IPCC Special Report on Global Warming of 1.5°C and for a strong outcome of the Talanoa Dialogue including a COP decision calling on Parties to submit more ambitious Nationally Determined Contributions (NDCs) by 2020. These sentiments were also expressed by Minister Stiell of Grenada who also highlighted the need for the inclusion in the outcome of Loss and Damage and Finance in response to the IPCC Report. The Permanent Representative of Trinidad and Tobago to the United Nations echoed these sentiments and called for increased support to the region for technology transfer and capacity building. The representative of Poland informed the meeting that the COP Presidency had now taken over the drafting of the language for the outcomes of the COP. Ministerial consultations had ended. A new clean text would be issued later today and would be debated in a Vienna style setting. In his closing remarks, Commissioner Canete emphasized that climate change would be the cornerstone of the new ACP/EU partnership programme. He noted that the combined membership of ACP and EU States was more than half of the UN seats. Working together the group could produce great results. 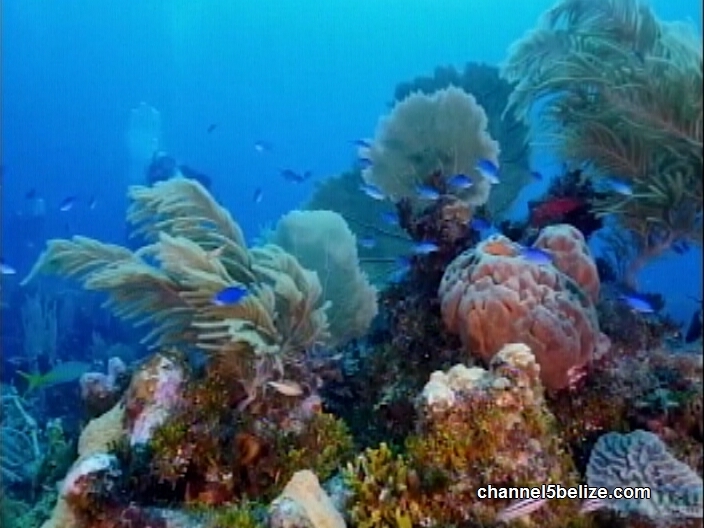 The region was represented by Belize, Jamaica, and the Commission of the Organization of Eastern Caribbean States (OECS). Belmopan, Belize; October 10, 2018 – The highly anticipated 1.5 degrees’ report from the Intergovernmental Panel on Climate Change (IPCC) has been released, and the news is dire. But while Scientists ‘sound the alarm about complacency’, they’ve given hope that it is still possible to keep global warming to 1.5 degrees. The report clearly outlines the risks of exceeding 1.5°C above pre-industrial levels; this is the upper limit of warming that small islands states have advocated for many years. “This report is a wake-up call for governments and the world, that we no longer have time for playing-around. 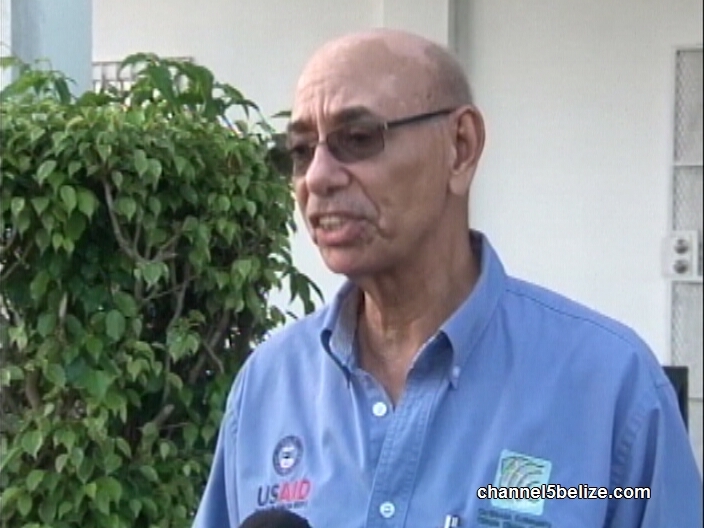 It is time for hard-work to avert climate change and the small islands states need significant financial help to make it happen” said Science Advisor and deputy executive director at the Caribbean Community Climate Change Centre (CCCCC) Dr Ulric Trotz. In the Special Report on Global Warming at 1.5 Degrees released on Monday, October 8, 2018, the IPCC warned that the global leaders need to quickly cut carbon emissions over the next decade. The landmark report by the world’s top scientists studying climate change noted, that to avoid going past 1.5 degrees Celsius of pre-industrial levels, the world needs to adopt “rapid, far-reaching and unprecedented changes in all aspects of society”. “From the small island perspective, this is probably the most important report the IPCC has done, not only because it was in part called for by Small Island Developing States (SIDS) but also because every important message we have been requesting over the years is now backed up by scientific assessment in this report,” said Dr Michael Taylor one of the Caribbean’s leading climate scientists and a contributor to the report. Dr Taylor noted that the Caribbean science underpins the assessments and supports the urgency of the messages that highlight not only the expected impacts on the region at 1.5 degrees”, but also “the enormous risks of 2 degrees, to the synergies with Sustainable Development Goals (SDG’s), to adaptation needs, deficits and costs, to the necessity for more mitigation”. 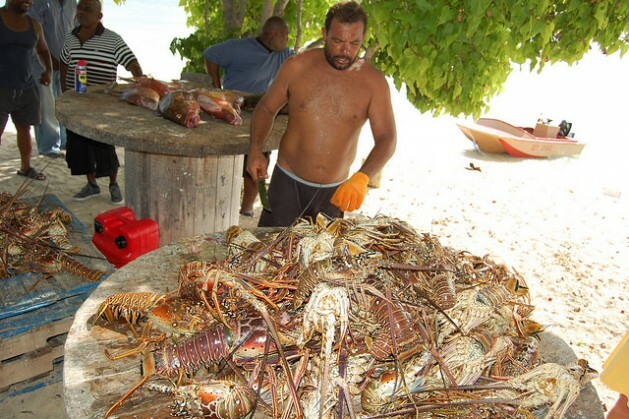 The report outlines the considerable risks now being faced by SIDS to the escalating impacts of extreme events, from sea level rise to slowed economic growth, biodiversity loss and significant global risks, should global warming exceed 1.5°C. For SIDS, the difference between warming at 1.5°C and 2°C is critical, resulting in increased water stress, more intense rainfall during tropical cyclones, and increased exposure to irreversible sea level rise. Some coral reefs would be able to adapt at 1.5°C, at 2°C their chances of survival are next-to-none, irrecoverably damaging the fisheries and livelihoods that depend on them. Here in the Caribbean, the changes are already happening. The region is experiencing hotter days and nights, more intense rainfall as well as more and longer periods of drought, putting lives, livelihoods and economies at risk. Significant data from the Caribbean and SIDS have featured prominently in this IPCC reports which provides a clear picture of the level of devastation that would occur at 2 degrees. The inclusion of regional data sets has been hailed a success by the Caribbean Community Climate Change Centre (CCCCC) the agency designated by CARICOM to lead the Caribbean’s response to Climate Change. 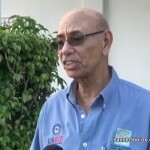 “We set out to have the Caribbean situation reflected in the report and we have accomplished that,” Trotz said. The Centre has been working with regional and international organisations to pull together institutions such as Cuba’s Institute of Meteorology, the Caribbean’s own CIMH, the Universities of the West Indies and Suriname and others to coordinate the production of Caribbean-specific models and information which provided critical information to the special report. The 1.5 report was released during the 48th Session of the IPCC in Incheon, Republic of Korea. Link to the Special Report on Global Warming at 1.5 Degrees: http://ipcc.ch/report/sr15/. BELMOPAN, Sep 5 2018 (IPS) – In one of Belize’s forest reserves in the Maya Golden Landscape, a group of farmers is working with non-governmental organisations to mitigate and build resilience to climate change with a unique agroforestry project. The Ya’axché Conservation Trust helps farmers to establish traditional tree crops, like the cacao, that would provide them with long-term income opportunities through restoring the forest, protecting the natural environment, while building their livelihoods and opportunities. Experts say the farmers are building resilience to climate change in the eight rural communities they represent. The agroforestry concession is situated in the Maya Mountain Reserve and is one of two agroforestry projects undertaken by the 5Cs, the Caribbean Community Climate Change Centre (CCCCC), in its efforts to implement adaptation and mitigation strategies in communities across the Caribbean. Close to 6,000 people both directly and indirectly benefit from the project which Dr. Ulric Trotz, science advisor and deputy executive director of the 5Cs, noted was established with funding from the United Kingdom Department for International Development (UK DFID). “It is easily one of our most successful and during my most recent visit this year, I’ve seen enough to believe that the concept can be successfully transferred to any community in Belize as well as to other parts of the Caribbean,” he told IPS. 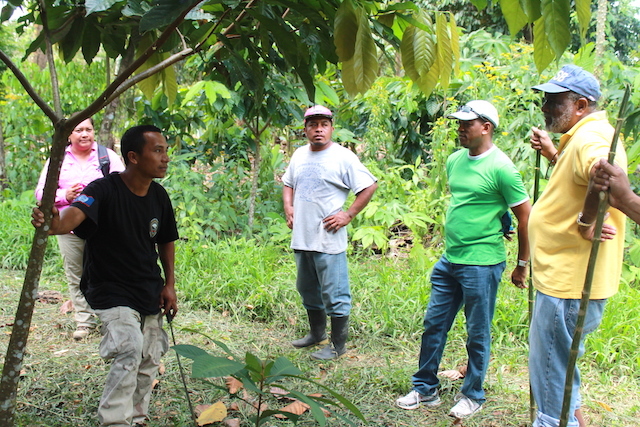 The Trio Cacao Farmers Association and the Ya’axché Conservation Trust have been working together since 2015 to acquire and establish an agroforestry concession on 379 hectares of disturbed forest. The agroforestry project was given a much-need boost with USD250,000 in funding through the 5Cs. According to Christina Garcia, Ya’axché’s executive director, the project provides extension services. It also provides training and public awareness to prepare the farmers on how to reduce deforestation, prevent degradation of their water supplies and reduce the occurrence of wildfires in the beneficiary communities and the concession area. Since the start, more than 50,000 cacao trees have been planted on 67 hectares and many are already producing the white cacao, a traditional crop in this area. To supplement the farmers’ incomes approximately 41 hectares of ‘cash’ crops, including bananas, plantains, vegetable, corn and peppers, were also established along with grow-houses and composting heaps that would support the crops. This unique project is on track to become one of the exemplary demonstrations of ecosystems-based adaptation in the region. The 35 farming families here are native Maya. They live and work in an area that is part of what has been dubbed the Golden Stream Corridor Preserve, which connects the forests of the Maya Mountains to that of the coastal lowlands and is managed by Ya’axché. Farmers here believe they are reclaiming their traditional ways of life on the four hectares which they each have been allocated. Many say they’ve improved their incomes while restoring the disturbed forests, and are doing this through using techniques that are protecting and preserving the remaining forests, the wildlife and water. Other members of the communities, including school-age teenagers, were given the opportunity to start their own businesses through the provision of training and hives to start bee-keeping projects. Many of the women now involved in bee-keeping were given one box when they started their businesses. The men and women who work the concession do not use chemicals and can, therefore, market their crops as chemical free, or organic products. They, however, say they need additional help to seek and establish those lucrative markets. In addition to the no-chemicals rule, the plots are cultivated by hand, using traditional tools. But farmer Magnus Tut said that this is used in conjunction with new techniques, adding that it has improved native farming methods. “We are going back to the old ways, which my father told me about before chemicals were introduced to make things grow faster. The hardest part is maintaining the plot. It is challenging and hard work but it is good work, and there are health benefits,” Tut told IPS. The Intergovernmental Panel on Climate Change (IPCC) supports the farmers’ beliefs, reporting that up to 11 percent of greenhouse gases are caused by deforestation and “between 24 and 30 percent of total mitigation potential” can be provided by halting and reversing deforestation in the tropics. “The hardest part of the work is getting some people to understand how/what they do impacts the climate, but each has their own story and they are experiencing the changes which make it easier for them to make the transition,” said Julio Chun, a farmer and the community liaison for the concession. He told IPS that in the past, the farmers frequently used fires to clear the land. Chun explained that farmers are already seeing the return of wildlife, such as the jaguar, and are excited by the possibilities. “We would like to develop eco-tourism and the value-added products that can support the industry. Some visitors are already coming for the organic products and the honey,” he said. Ya’axché co-manages the Bladen Nature Reserve and the Maya Mountain North Forest Reserve, a combined 311,607 hectares of public and privately owned forest. Its name, pronounced yash-cheh, is the Mopan Maya word for the Kapoc or Ceiba tree (scientific name: Ceiba pentandra), which is sacred to the Maya peoples. Scientists believe that well-managed ecosystems can help countries adapt to both current climate hazards and future climate change through the provision of ecosystem services, so the 5Cs has implemented a similar project in Saint Lucia under a 42-month project funded by the European Union Global Climate Change Alliance (EU-GCCA+) to promote sustainable farming practices. 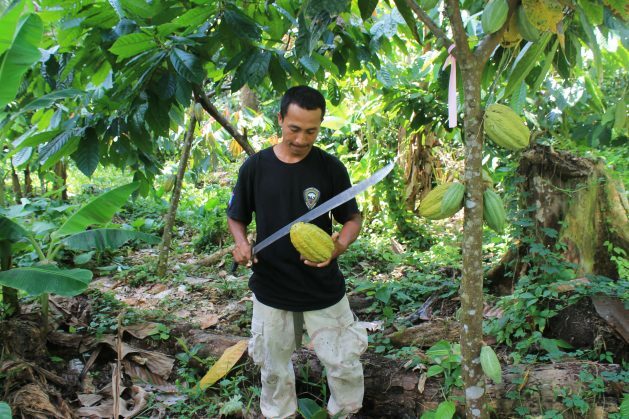 The cacao-based agroforestry project in Saint Lucia uses a mix-plantation model where farmers are allowed to continue using chemicals, but were taught to protect the environment. Like the Ya’axché project, Saint Lucia’s was designed to improve environmental conditions in the beneficiary areas; enhance livelihoods and build the community’s resilience to climate change. In the next chapter, the Ya’axché farmers project is hoping that, among other things, a good samaritan will help them to add facilities for value-added products; acquire eco-friendly all-terrain vehicles (ATVs) to move produce to access points; and replace a wooden bridge that leads to the main access road. Tut and Chun both support the views of the group’s chair Isabel Rash, that farmers are already living through climate change, but that the hard work in manually “clearing and maintaining their plots and in chemical-free food production, saves them money”, supports a healthy working and living environment and should protect them against the impacts of climate change. The University of Technology (UTECH), Jamaica through its Caribbean Sustainable Energy and Innovation Institute (CSEII) and the Faculty of The Built Environment (FOBE) will on Thursday launch the multidisciplinary Master of Science Degree in Sustainable Energy and Climate Change. The degree was developed in collaboration with technical assistance from partner the German Society for International Cooperation (GIZ) through the CARICOM Renewable Energy Efficiency Technical Assistance Programme (REETA) and is the first programme of its kind to be offered in the Caribbean region. A release from the university disclosed that the establishment of the programme is in response to the need for tertiary level training of specialists in the areas of sustainable energy and climate change and has a strong focus on Sustainable Energy, Entrepreneurship and Green Business Development – areas critical to Jamaica’s future development within the global economy and for the creation of new jobs and innovations in keeping with the Green Growth strategy of the Government. Other speakers include Senator Ruel Reid, Minister of Education, Youth and Information , Dr Andrew Wheatley, Minister of Science, Energy and Technology , Professor Stephen Vasciannie, President, UTech, Jamaica, Dr Ruth Potopsingh, AVP, Sustainable Energy, UTech, Jamaica who will provide an overview of the Master’s programme, Dr Devon Gardner, Programme Manager, Energy, CARICOM Secretariat, as well as representatives from the Ministry of Economic Growth and Job Creation, the German Embassy in Jamaica and the Society for International Cooperation (GIZ). The launch is slated to take place at 9:00 am at Lecture Theatre 4 (LT4), Faculty of The Built Environment at the Papine campus. The event will be followed by technical workshops from 11:30 am – 4:30 pm, while a Green Business Start-up Clinic will be held on Friday, March 3 from 8:45 am – 4:30 pm.